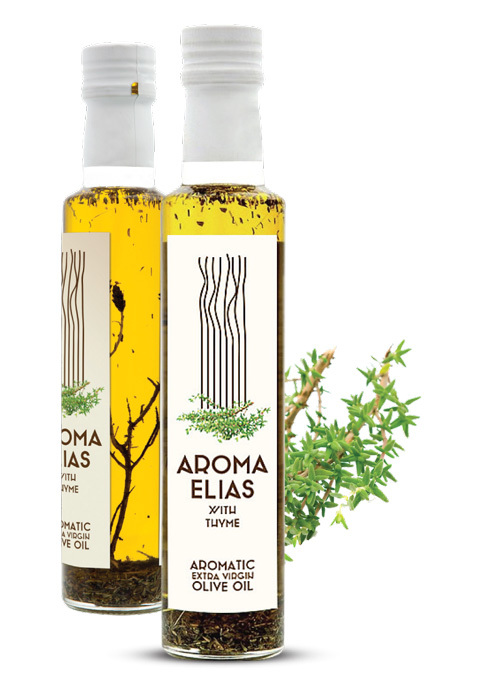 IONAS PRODUCTS a new enterprise created with aim to promote Greek products abroad. IONAS PRODUCTS with its collaborators is looking for and able to promote the best Greek products which are produced in Greece. Our products are from the best quality and they are included in the “gourmet” category. The company’s philosophy is to select the best quality Greek products to promote. These Greek products are unique and this is due to the climate of our country. Our company has contacts and agreements with small pro- ductive units and we are able to ensure the quality and quan- tity of the products which are promoted to foreign countries. The combination of the producers’ experience which goes from one generation to another and are accompanied to our certificate specifications have as a result the creation of prod- ucts that satisfies most consumers. Our target is to guarantee the high quality of the products and this is achieved with continuous checks up to the last stages of production. At our last checking and after we have a result of the finest quality we go on to the standardization. IONAS PRODUCTS gives attention to the standardization of all its products. This is a process which demands attention because of the quality and finest packaging, as a must we include all the value and the precious components that the Greek land offers to us. Our company welcomes all of you to the journey of taste of our Greek products and expects you to take this trip together. The fertile valley of Messara in Crete, where our olive groves are located, has a proud heritage in producing outstanding olive oils. Our exceptional extra virgin olive oil is blended from fruit sourced from olive groves located in a wind protected, warm and stony plain on the roots of the Psiloritis Mountain, the highest peak on the island. The upper-lying coastal zone is exceptionally fertile, as the streams and rivers that cross the mountainous end here, enriching the land with their deposits. An excellent mild climate helps cre- ate ideal conditions. Milling: Crushing and olive oil extraction process is per- formed at cold temperatures, with the max temperature being 27oC, to maintain its rich, fruity, intense aroma and its distinctive green color. Distinctive and aromatic Extra Virgin Olive Oils are display- ing a tight youthful bouquet of almond and grass, with hints of artichoke and complex spicy notes. A mild, textured and complexing mouthfeel, gives length and a memorable fin- ish. With an enticing fruity bouquet and emerald soft hue it has a seductive perfume with a lovely long grainy feel. Our Extra Virgin Olive Oil is powerful yet elegant and balanced. Our extra virgin olive oil combines the finest features of the Koroneiki variety, ideal for escorting fresh vegetables and herbs in salads, without interfering in the taste of them. Aroma elias ultra premium extra virgin olive oil up to 0,29% it is a product with nutrition value and from the name of it becomes clear that it’s so authentic as the fruit comes from. The product is a result of controlled cultivation and experi- ence of small productive units of Crete. 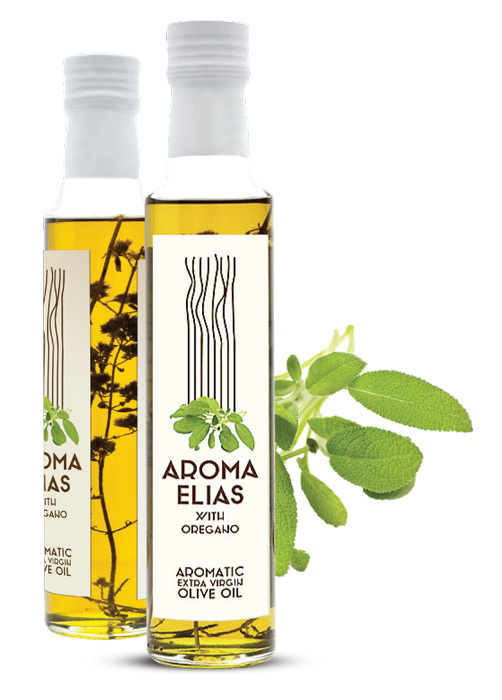 Aroma elias organic extra virgin olive oil is a high nutritional value product. Its low acidity in combination with its biological cultivation and the clear green color and the light taste enlist this prod- uct to the elite olive oil products. 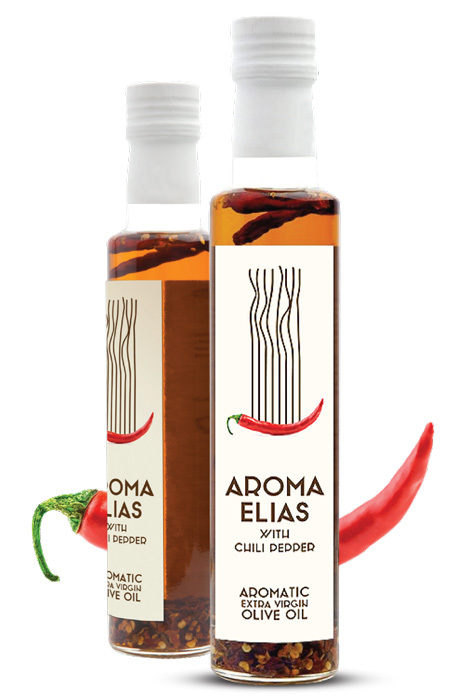 This Selection of Extra Virgin Olive Oil, beautifully blended with Chili Pepper, introduces underlying texture and spice. A rich, rounded and mouth filling palate with a lingering finish. A deep palate has richness and texture in balance with a gentle bitterness and peppery taste. Suggested Uses: Grilled meat or fish, pasta and soups. Excellent for dressing on top of raw veg- etables and drizzling cooked dishes. 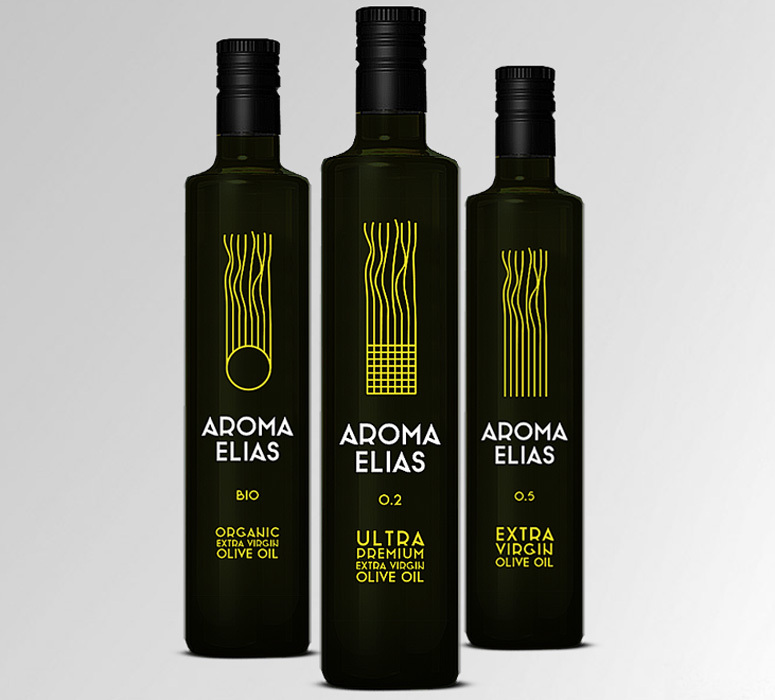 This Selection of Extra Virgin Olive Oil beautifully blended with Cretan Oregano, is displaying finesse and approachability through to its long finish. Richly concentrated and mouth filling palate with a lingering finish. The aromas of this unique and charming blend are intriguing with an intense and freshly scented array of Oregano and fresh grass gradually coming to the fore. Suggested Uses: Greek Salad dressing, grilled meat or fish, pasta and soups. Excellent for dress- ing on top of raw vegetables and drizzling cooked dishes. 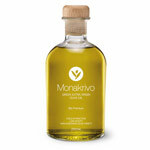 This Selection of Extra Virgin Olive Oil beauti- fully blended with Cretan Thyme, is displaying an intense and freshly scented nose with an array of ripe olive fruit mingling with roasted spices and dried Cretan thyme typical for the high altitude of the region. Suggested Uses: A wonderful match and mari- nate with all seafood, chicken, pork, pasta and Mediterranean vegetables. Grilled meat or fish, pasta and soups. 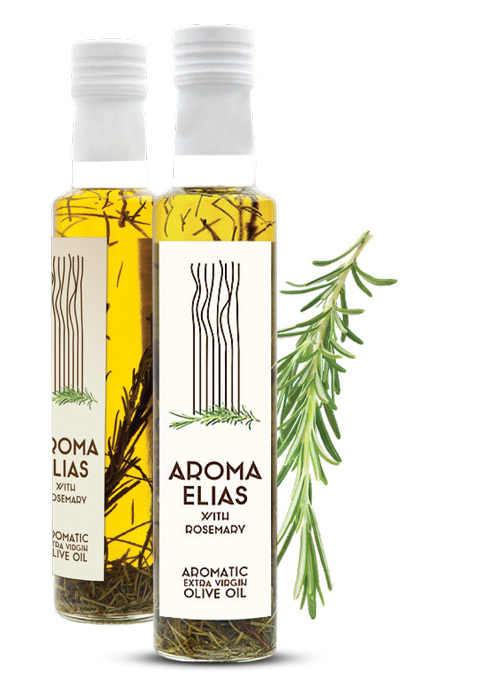 This Selection of Extra Virgin Olive Oil beautifully blended with Cretan Rosemary, introduces a tight, youthful bouquet of freshly cut grass and complex Rosemary notes. The palate has richness and tex- ture in balance with a gentle acid. A lovely balance and length. Suggested Uses: Pour over baked potatoes, top with fresh herbs, sea salt and cracked black pepper. A wonderful match and marinate with all seafood, chicken, pork, pasta and Mediterranean vegetables. 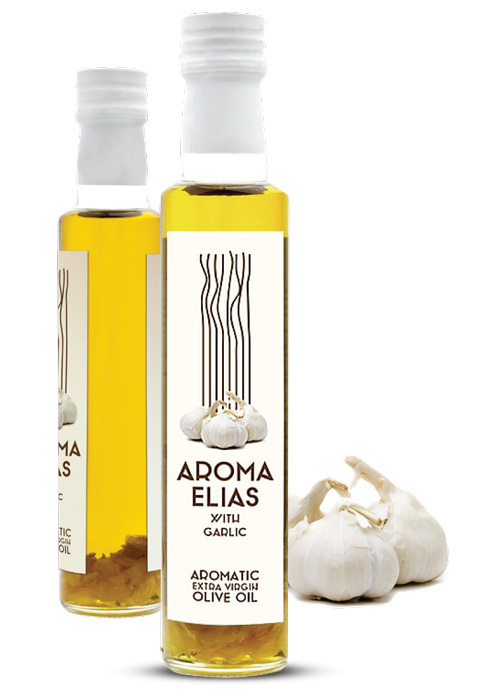 This Selection of Extra Virgin Olive Oil beauti- fully blended with Cretan Garlic, offers a complex medley of bitterness and spiciness with hints of sweet Garlic characters. The palate is seamlessly textured, leading to a finish extended by harmoni- ous acidity. A well-integrated blend finishing with a long tight structure. Suggested Uses: Salad dressing, fried veg- etables. Grilled meat or fish, pasta and soups. Excellent for dressing on top of raw vegetables and drizzling cooked dishes. Could you send me a catalog for 250ML bottles? I am looking for a potential supplier that could ship to India. Emilio de la Vara S.L.